Weird that the words beet and beef are similar and they work interchangeably in this recipe, isn’t it? Weirder that they are both filled with iron too, something that most people lack if they have cancer and are going through treatment. 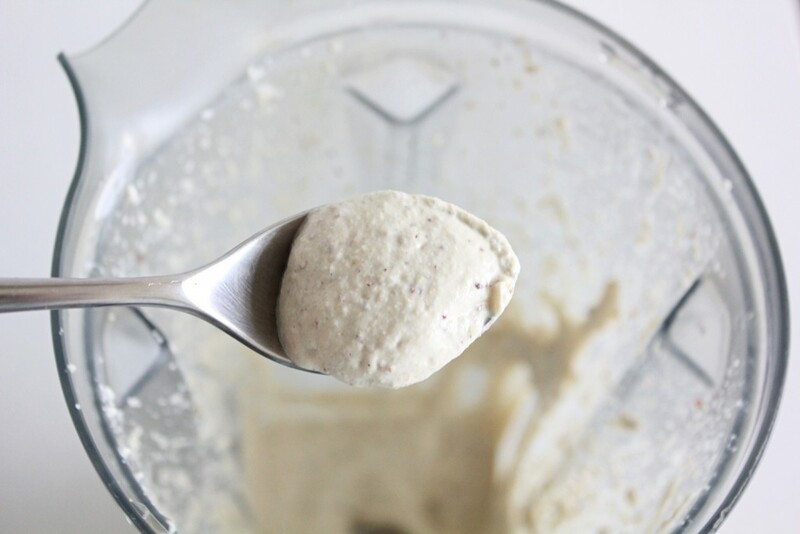 Maybe it’s the taste of iron that goes so well with horseradish? I’ve never been a big meat person but beef carpaccio, when done well, was something I could never resist on a restaurant menu. I think it was because of the extra thin slices of raw beef (totally different texture) and the contrast of the inevitable salty mustard/horseradish/peppery greens topping. I’m also not a person who is like ‘let’s have beets for dinner every night this week’, maybe because they look like they should taste like cherries or raspberries and actually taste like sweet dirt. I do enjoy them in moderation, but beets need contrast. 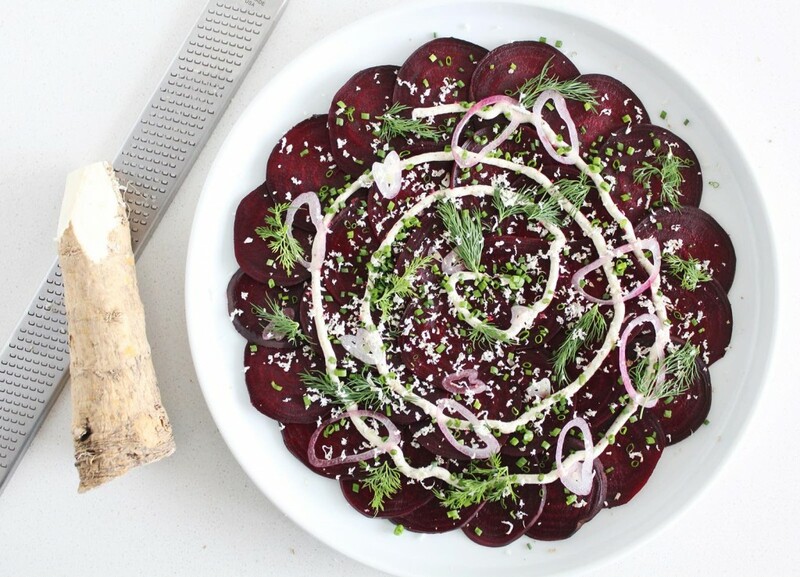 It’s why they taste great pickled/fermented (like in this sauerkraut recipe which I always have on the go) or with sharp acidic cheese (like in this vegan goat cheese recipe), beets need a bossy partner in crime, because otherwise they would never get off the couch, and that’s just not inspiring. 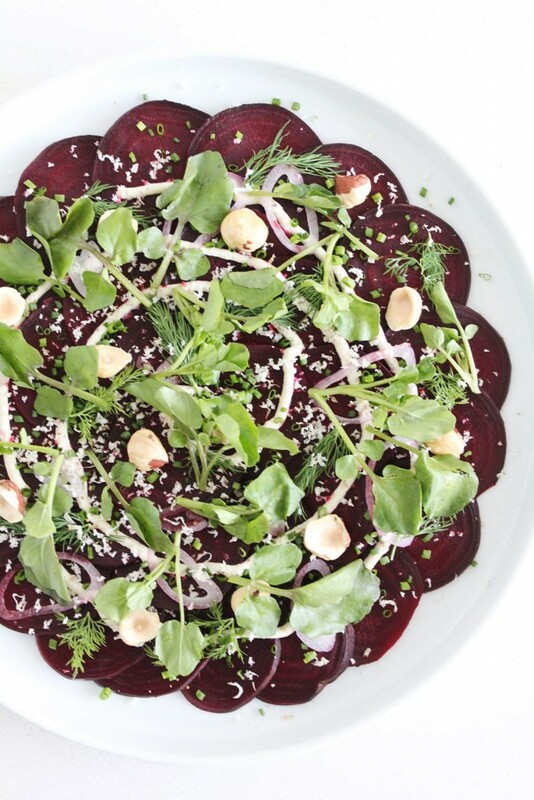 This beet carpaccio, I could eat often. The toppings are the same as what you might find on a beef carpaccio, and for some reason (maybe the iron content?) they work just as well with beets. 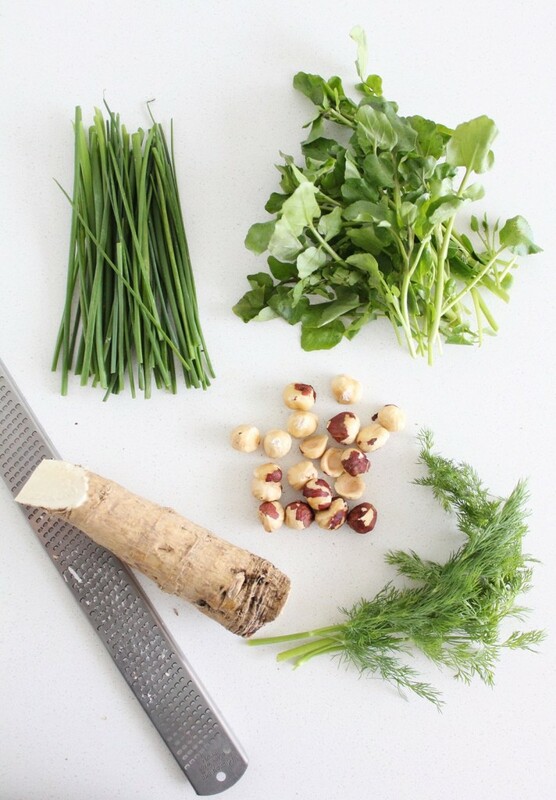 Peppery and fresh watercress, spicy, in your face fresh horseradish, salty and tart mustard and capers and nutty, savory hazelnuts, would be too much altogether on their own but contrasted with the flavour of the cooked beets, there is balance and harmony. The toppings are spiky, extreme and interesting in all of the ways that the beets are a bit shlumpy in their sweet earthiness. Peppery broccoli sprouts (anti-cancer powerhouses) would be really good in place of the watercress if you are looking for an excuse to grow some this week. One thing beets really don’t need help with is their beautiful colour. I wish everything was beet coloured (besides my fingers, my cutting board and my kitchen floor where I dropped a slice yesterday). Betacyanin is responsible for their impossibly purple-y pink colour and it comes as no surprise that this intensely present pigment is a known anti-carcinogen (anti-cancer). 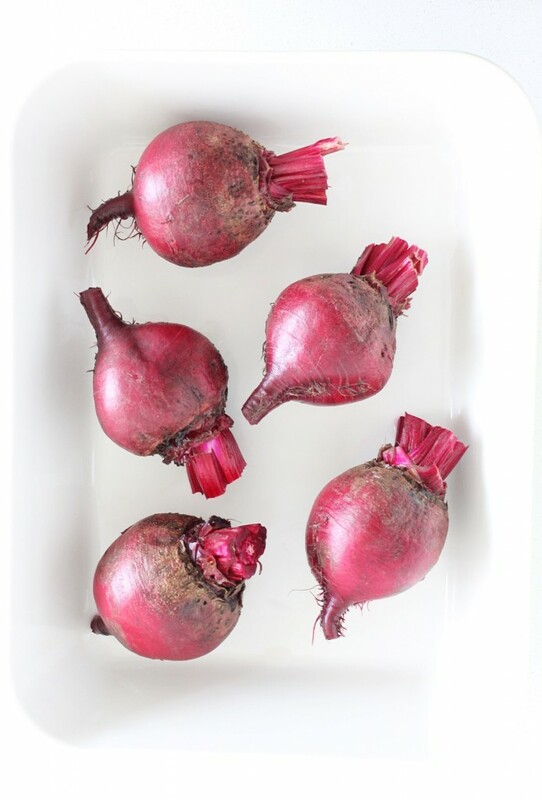 Using different coloured beets brings different pigment powers to the party but I chose to do only purple for this recipe to…..resemble beef more. Whatever, it’s up to you, golden and candy striped beets would look pretty and taste just as good. 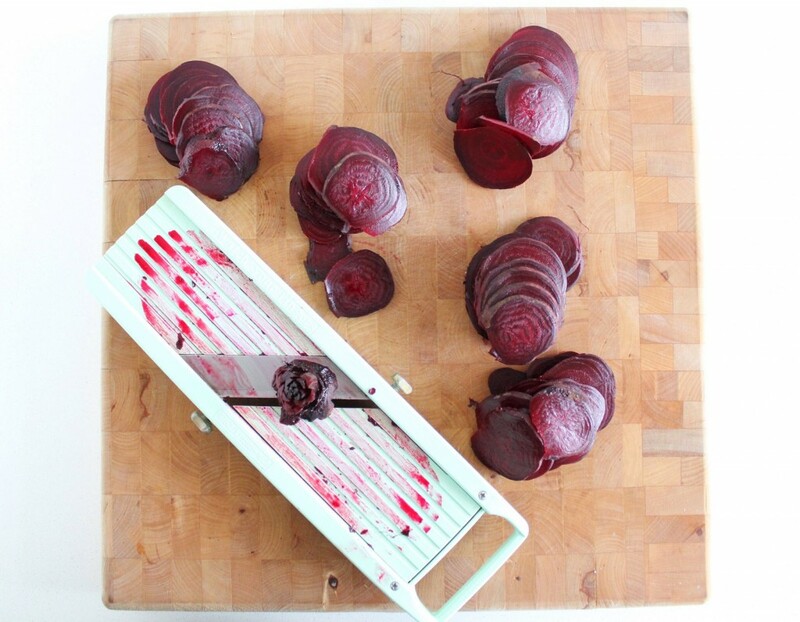 Beets are also blood purifiers, anti-inflammatory, anti-anemia and a good indicator of your intestinal ‘transit time’ (how long after you eat them does your poo turn terrifyingly red-y purple?) 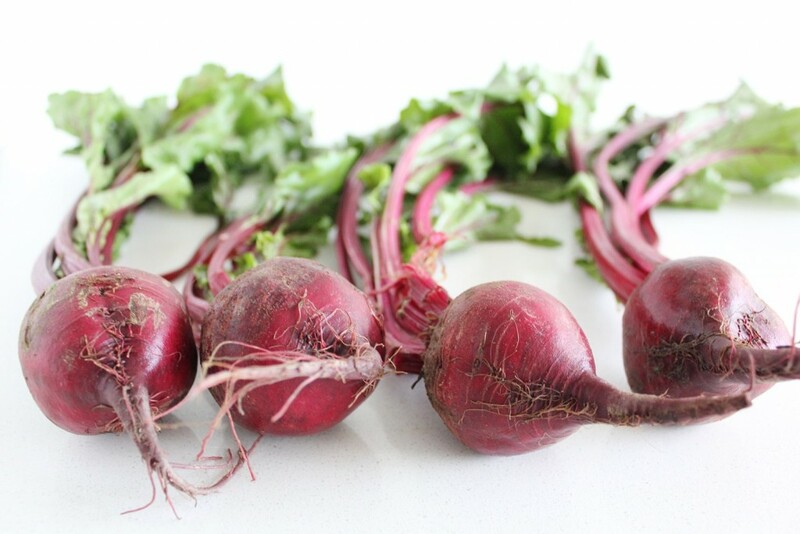 Buying your beets with the greens still attached will ensure your beets are fresher and therefore nice and sweet instead of starchy (the sugars start to turn to starch once picked). We don’t use the greens in this recipe but they are extremely nutritious, and delicious when cooked with a bit of garlic (any recipe that Swiss chard would be welcome in) or juiced. I sliced them not too thin because I wanted to have at least 2 beets per plate (but you can slice them thinner if you want). You can spread this out on one big platter for people to help themselves, or lay them out on individual plates, just like you would get in a restaurant. 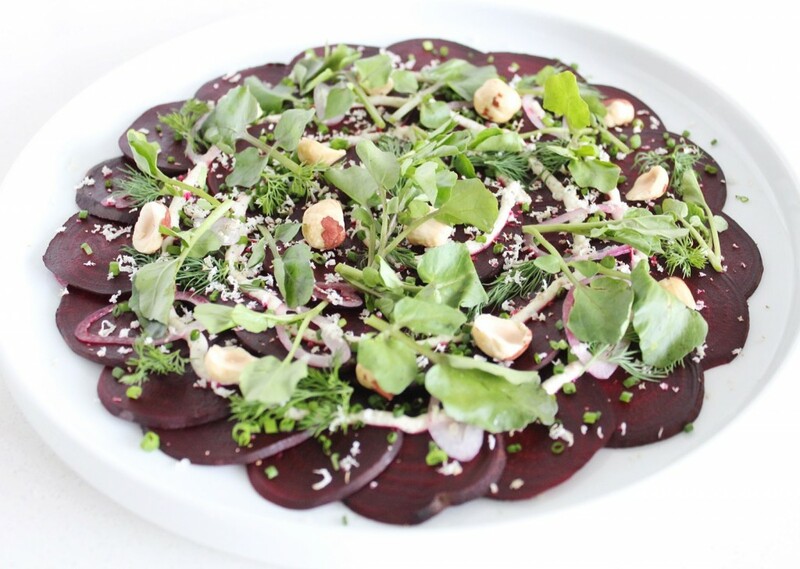 Even those with mediocre feelings towards beets will love this (and if they already love them, this will be a nice change from beet salad with (vegan?) goat cheese that they are probably used to). 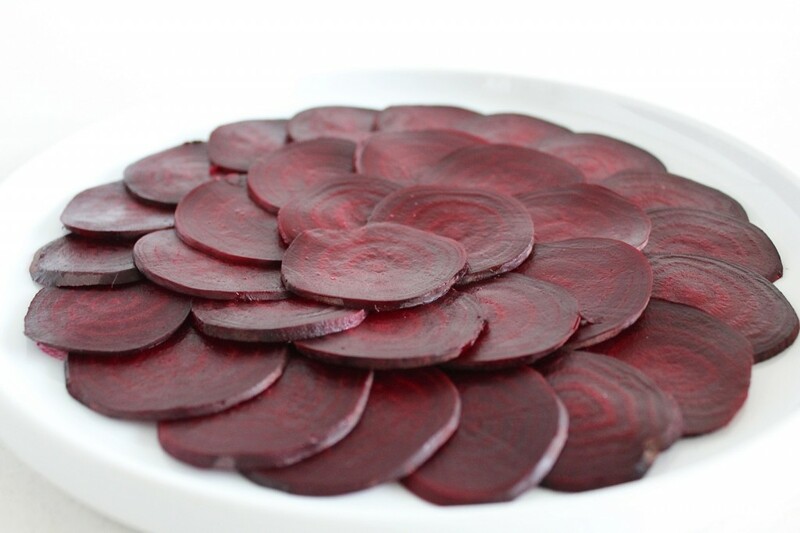 Put the beets in a ceramic dish and add a splash of water. Cover the dish with foil (or a lid if it has one) and bake the beets for 30-45 minutes, depending on their size. It isn't important that they are super soft, some texture is nice. Once cooked (and slightly cooled), thinly slice on the mandolin (leaving the peels on). Layer the slices on your plate or platter of choice, slightly overlapping.